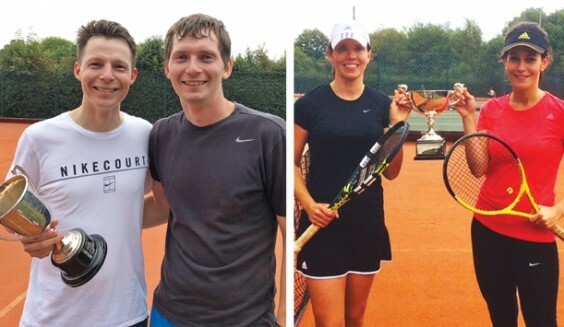 Tennis twins Simon and Paul Cowie (above right) went head to head in the men’s final of Barnt Green Tennis Club’s annual championship. After a keenly fought match, Simon (holding the cup) prevailed 6-2, 2-6, 6-2. The women’s doubles title was taken by Lucy Challinor and Sally Gillespie (above far right). The remaining adult finals were still to be played as The Village went to press.